I’m all for getting people off the dole and into middle-class welfare, which is much nicer welfare all round, especially in polite company. 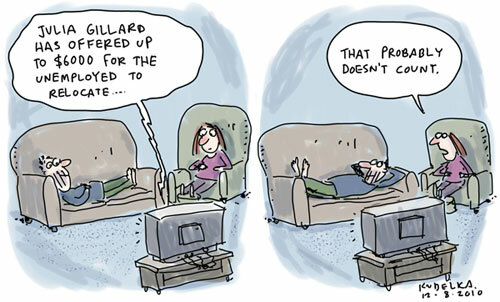 Posted in political cartoons, The Australian, Election Cartoons. I consider myself to be a bit of a couch physics expert.